One of my top producing agents advises spending all your extra time with lenders, learning how you can help every buyer you meet. Learn of the different products that can service your clients' needs and be the smartest agent in the room when you are speaking with potential buyers. 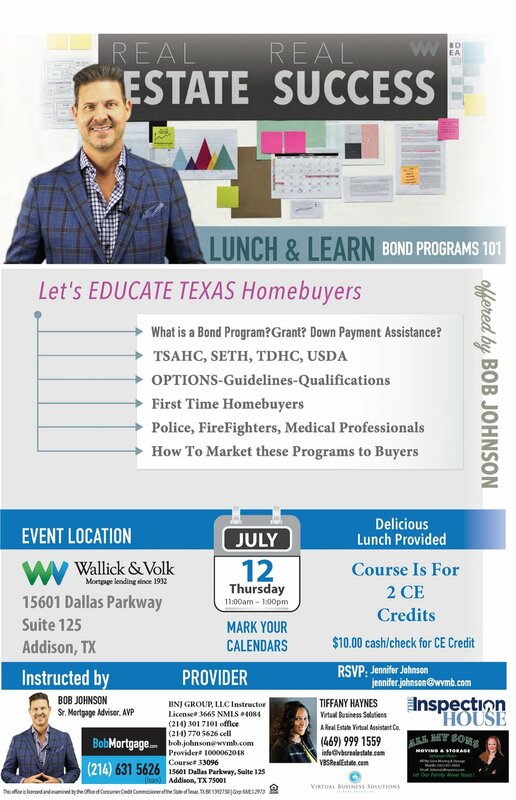 Come and learn from one the greatest lenders in DFW! The class is free and lunch is on us! Newer PostRegister Now: How to Stand Out From the Crowd!